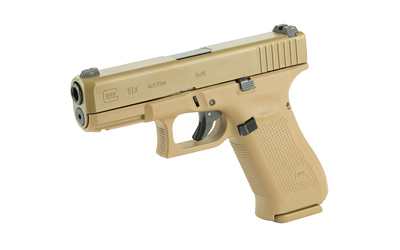 This was Glock’s contender for the military contract. It’s a Gen5 Glock 19 on a Glock 17 frame. 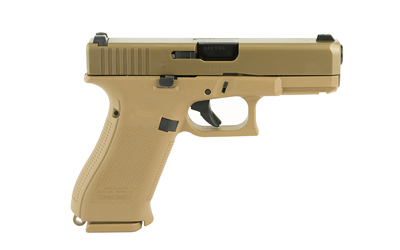 Fully Cerokoted, ambi slide release, Marksmanship barrel, Night sights, 3 mags 2 of them Extended all in FDE color. Back straps, FDE colored hard case, cleaning kit. 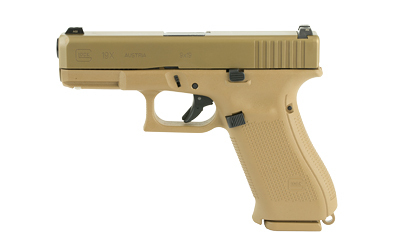 These Super cool and one of a kind gun from Glock.